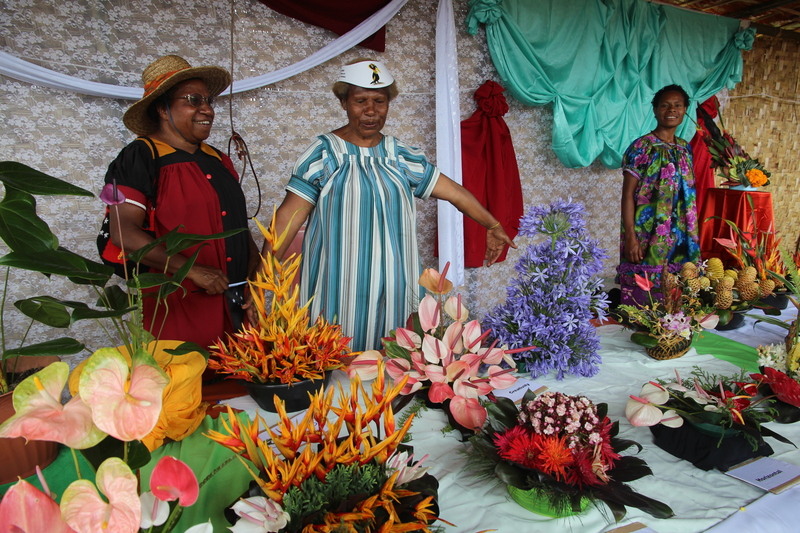 The Goroka Show has something for everyone. 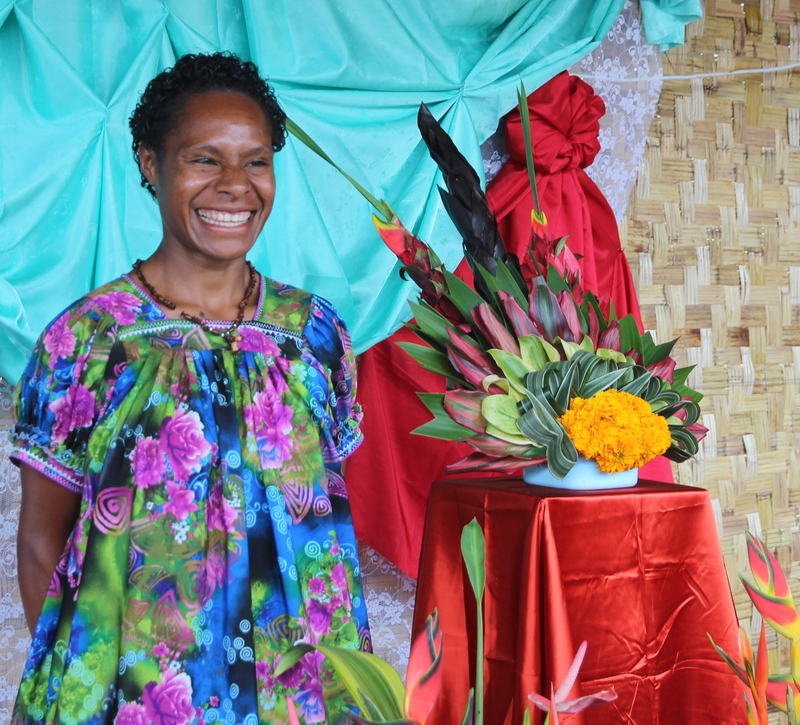 While sensational song-and-dance performances are at the core of the event, the Papua New Guineans don’t stop at that. There are plenty of stalls selling crafts (remember the mask I didn’t buy?) and lots of local delicacies (such as creepy-looking red sausages, grilled pork and coffee beans). 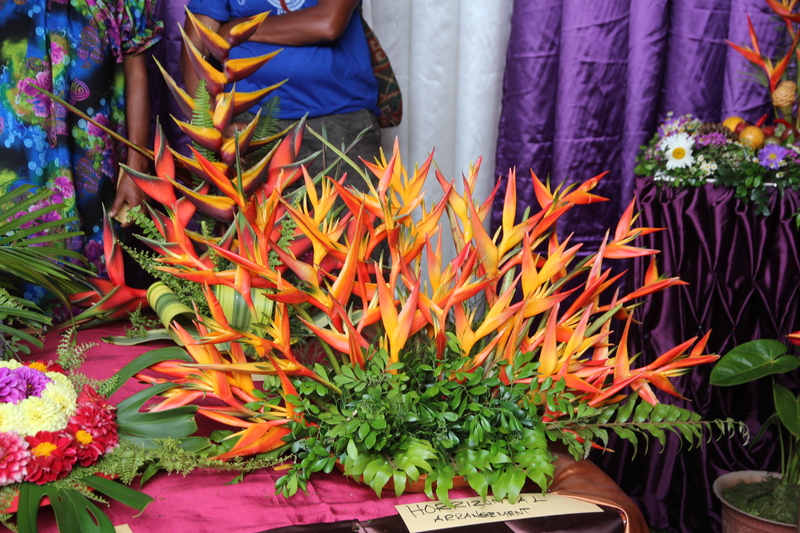 The flower show is a popular event and colourful too. As far as I know, this is the only aspect of the show in which winners are announced. Song-and-dance performances aren’t judged because so many of the tribes might be or could become enemies. But flowers are different. They must be calming! And the participants (mostly women) wore huge smiles and they showed off their efforts. We enjoyed checking out the various displays about an hour or so before judging (so we don’t know who won). It was yet another opportunity for colour overload. Displays were classified in six categories, such as vertical, horizontal, creativity and colourist. Backdrops were judged too. One of the last stalls we visited asked us to pay a kina (about 50 cents) to take a photo. We just laughed and said No thanks. We’d already taken a load of photos and everyone else had been thrilled to show off their handiwork. Thanks Peggy, love the style of the compositions! All the displays showed so much creativity. Beautiful , Peggy! You can tell that you made that woman’s day, week, month, year and life by the looks of her smile! Good work! Thanks Dave. Her smile always makes me smile. She has the best smile ever.